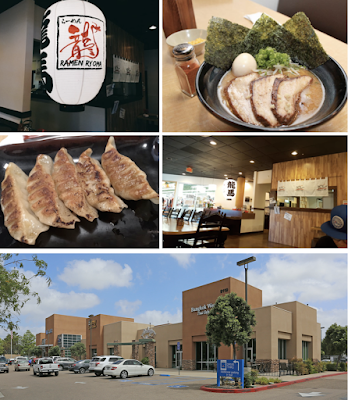 Oregon-based Ramen Ryoma, which is in the process of opening a two-story Japanese eatery in Hillcrest, is also bringing an outpost to San Diego's Kearny Mesa neighborhood, taking over the space that last housed Bangkok West Thai Cafe in Clairemont, as well as another in Pacific Beach. The flagship Ramen Ryoma opened in the Beaverton suburb of Portland, Oregon in July 2016 with a concise menu that offers a variety of Japanese-style ramen noodle soups made with rustic "temomi" hand massaged noodles that are uneven with a unique "al dente" texture, as well as a small list of appetizers and Kirin beer. A favorite at Ramen Ryoma is its pork belly chashu, which is cooked in soup broth for 5 hours before taking a long soak in a blended Tare soy basting sauce. The unique ramen broth is also made with a mixture of torigara chicken stock and tonkotsu pork broth and available with either a miso, shio, or shoyu base. Owner and chef Yoshinari Ichise was born in Kyoto, Japan and migrated to the United States when he was 21. Along with his college friend, they opened Sushi Twister in Las Vegas in 2006, and Chef Yoshi has since opened several other restaurants, including Ramen Sora and Izakaya Hachi in Nevada and several different concepts in Singapore, Philippines and Portland. In addition to opening its first San Diego branch within the 2,800-square-foot, free-standing building at 815 University Avenue that was previously slated to become a second area Jinya location in Hillcrest, Ramen Ryoma will also be opening a second location within a small retail plaza in the Clairemont area of Kearny Mesa. The company will also install a branch within the Pacific Beach space that did, at one time, house a branch of Jinya. 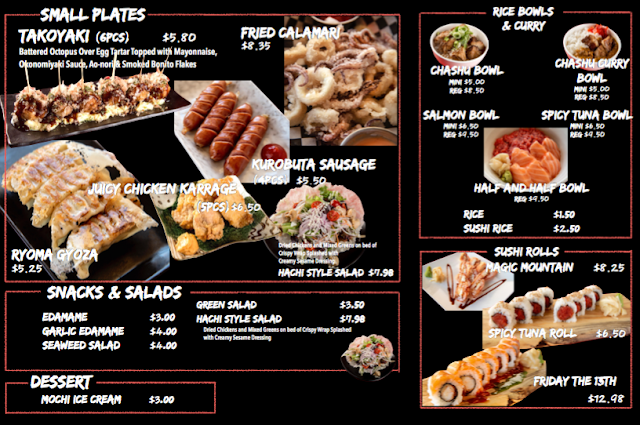 In addition to a concise list of small places, rice bowls, and ramen soup options, the Clairemont eatery will also serve sushi rolls. All outposts will offer a menu of craft beer on tap, as well as a curated list of premium sakes imported from Japan and wine. The Clairemont restaurant is now scheduled to open first, aiming for this Summer, with the Hillcrest and Pacific Beach locations expected to unveil by this Fall. Ramen Ryoma is in the process of installing at 9119 Clairemont Mesa Blvd, Suite H, in Kearny Mesa and 825 Garnet Avenue in Pacific Beach. For more information, visit ramenryoma.com and check out the menu below.